One of the most well-known animals in medicine is the leech, Hirudo medicinalis. 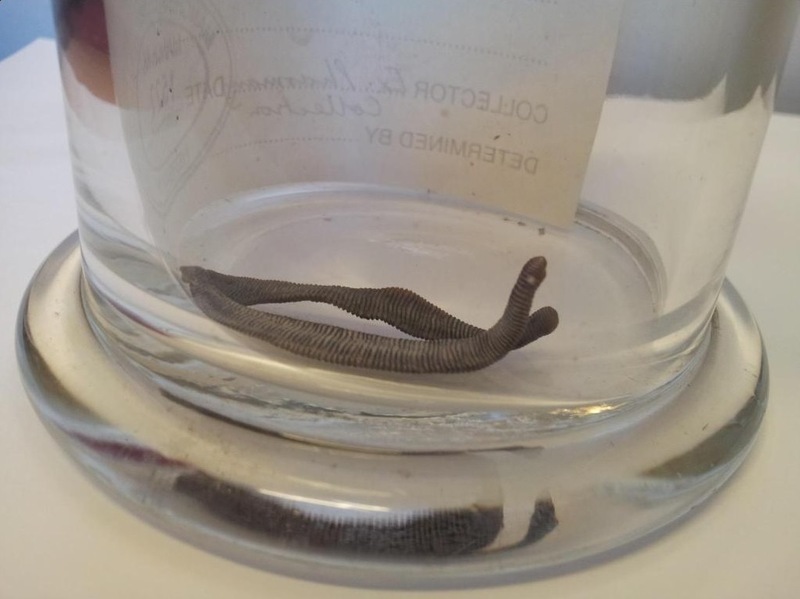 Found over almost the whole of Europe and part of Asia, the leech has been collected from muddy freshwater pools and ditches for hundreds of years. Fully mature leeches can reach up to 20 cm in length and are hermaphrodites that reproduce sexually. Leeches have suckers on each end, called the anterior and posterior suckers. The posterior (back) one is mainly used for leverage whilst the anterior (front) sucker has the jaw and teeth for feeding. Large adults can consume 5-15 ml in a single meal, which is about 10 times their body weight. After feeding, they can live up to a year before requiring another feed. Anterior sucker of a leech attached and drawing blood. After biting but before sucking out blood, Hirudo medicinalis secrete saliva containing about 60 different proteins. These include anticoagulants (such as hirudin), platelet aggregation inhibitors (to prevent clotting), anaesthetics and vasodilators (to widen blood vessels and increase blood flow). Bloodletting was used by many ancient peoples, including the Egyptians and Greeks, and is one of the earliest known medical techniques. The first described use of leeches was in 800 BC by the ancient Indian surgeon Sushruta, who recommended their use for skin diseases and muscle pains. Ancient Greek physicians Nicander, Hippocrates and Galen all advocated the use of bloodletting. Bloodletting was modelled on menstruation as they believed it purged women of bad humours (excess bodily fluid). 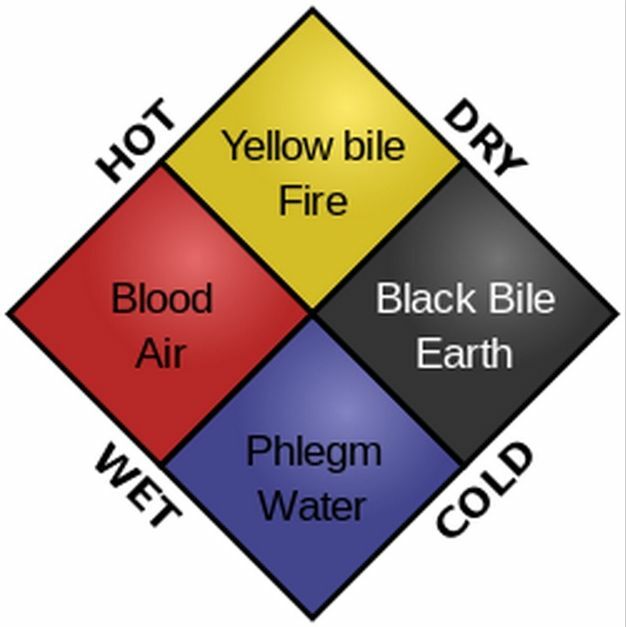 The humours were blood, phlegm, black bile and yellow bile, and each represented air, water, earth and fire respectively. Those agreeing with this theory believed that any sickness that caused the patient’s skin to become red, such as fever and inflammation, must have been caused by too much blood in the body. Thus, removal of blood was supposed to balance the humours, allowing the body to function properly. The popularity of bloodletting rose through the centuries until it reached its peak in the early 19th century. 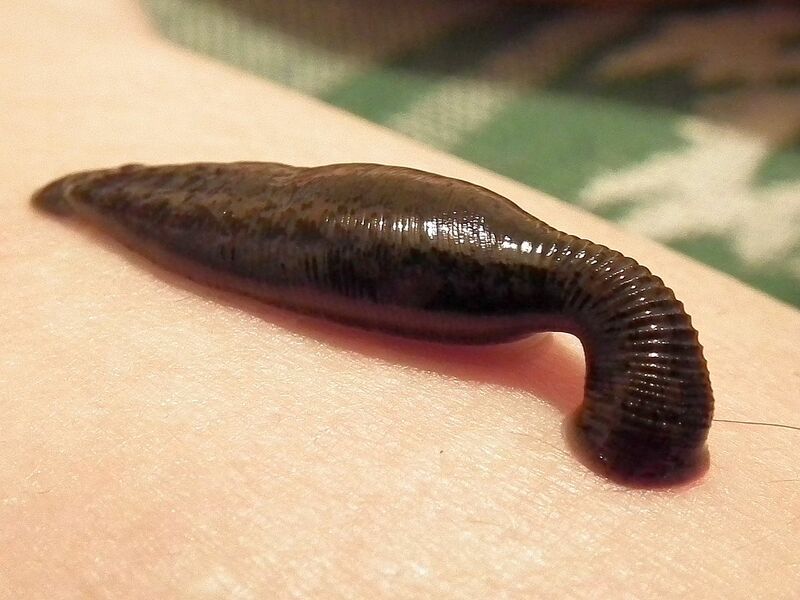 In the 1830s, the French imported as many as 40 million leeches a year for medicinal purposes. By this time, bloodletting was used to treat almost every disease, from asthma to cholera, gangrene to epilepsy, smallpox to tuberculosis and beyond. Some of the ailments leeches were employed caused more harm than good. For example, after America’s first president George Washington developed a throat infection in 1799, he was bled for 10 hours and lost 3.75 litres of blood before dying of a throat infection. The use of leeches fell drastically towards the end of the 19th century as knowledge of the bodies systems increased. However, they made a medical comeback in the 1970s. Leeches began to be used to stimulate circulation following skin grafts, particularly in finger reattachment. The therapeutic value of Hirudo medicinalis was no longer in bloodletting, but rather in the anticoagulants and anaesthetics in the saliva. Leeches are still used today but ‘mechanical leeches’ have been developed that perform the same function, though they are not yet commercially available. This entry was posted in Materia Medica, Specimen of the Day, Students and tagged ancient Greece, bloodletting, collections, Hirudo medicinalis, history, humor, humour, leech, materia medica, sugery. This two-part blog post is going to focus on Crocus sativus, also known as saffron. Part 1 is going to focus on the plant’s history in Europe and part 2 (https://herbologymanchester.wordpress.com/2015/04/27/saffron-the-worlds-most-expensive-spice-part-2/) will focus on its genetics, harvest and uses. The cultivation and trade of the saffron crocus by humans has persisted for around 4 millennia; spanning cultures, continents and civilisations. The first recorded image of saffron appears in Minoan paintings. Though there is no written record of what they used the crocus for, suggestions have been made (mentioned in part 2) and it is clear that the plant held some significance for them. A powerful earthquake followed by a volcanic eruption resulted in the loss of this early settlement around 1,500 BCE. The Minoan herbal paintings survived over the next few millennia through being entombed by the volcanic ash, which preserved these early frescoes. 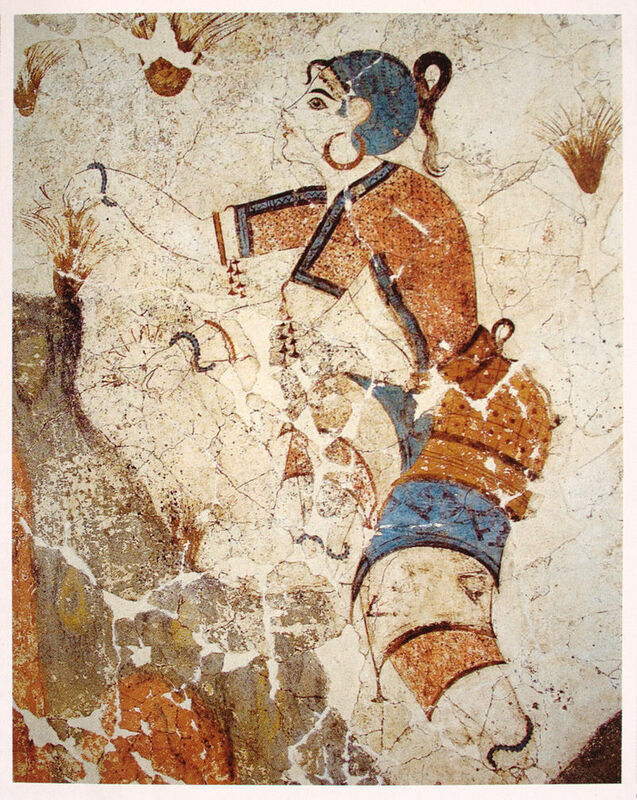 Minoan fresco depicting a saffron gatherer. Saffron again became popular during the time of the ancient Greeks, when early documentation shows that they cultivated and harvested the plant for its spice. During this time, saffron began to be widely traded across the Mediterranean. The plant even had its own origin legend: the story of Crocus and Smilax. Crocus, a handsome young man, falls for the nymph (a female nature deity) Smilax. At first Smilax is flattered but she soon tires of his advances and turns Crocus into a saffron plant; the bright stigmas of the flower representing the glow of the undying and unrequited passion of Crocus. Possibly for this reason, saffron was widely associated with the class of professional courtesans and entertainers called the hetaerae. Though it remained a popular spice and medicine for many centuries, Crocus sativus cultivation in Europe went into decline following the fall of the Roman Empire. It should be noted, however, that Crocus sativus cultivation was not limited to Europe. Whilst its popularity was still spreading, saffron began to be grown further and further from Greece. By the 3rd century AD, it had spread to China and was incorporated into their traditional medicinal practices. For several centuries the cultivation of Crocus sativus was, for the most part, none-existent throughout Europe. This changed after the Moorish civilisation spread from North Africa around the 8th century and began reintroducing the spice. Saffron was rare, expensive and in high demand right up until the 14th century, when its use soared due to the medicinal applications of the plant in attempted treatments for the Black Death. However, many of the farmers that grew Crocus sativus had died from the disease and the demand far outstripped the supply. Thus large quantities of non-European saffron began to be heavily imported. The trade of saffron became of such significance that those found guilty of adulterating supplies were fined, imprisoned and even executed. 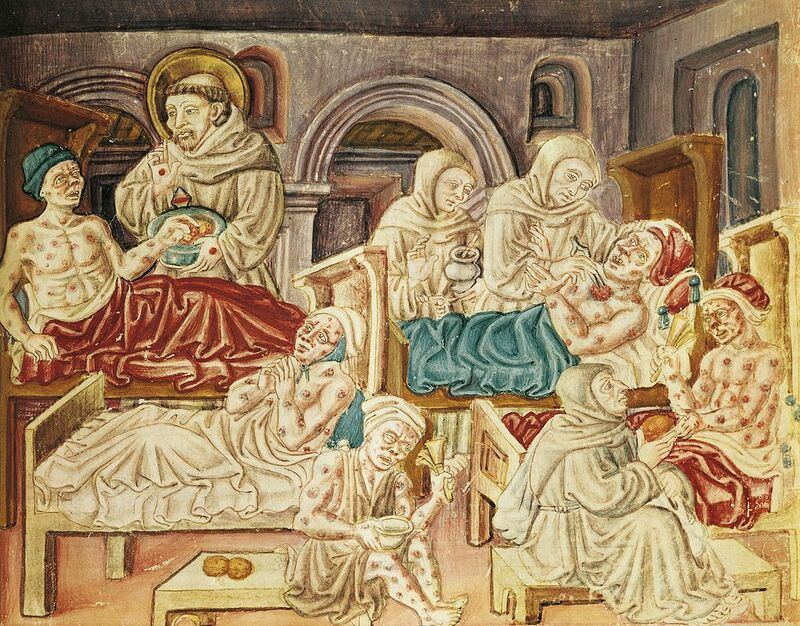 As already mentioned, the Black Death during the 14th century drastically increased the demand for saffron in central and northern Europe to a level that local suppliers could not meet. The only other major producers at the time were Arab sources, who were unwilling to trade due to hostilities over the crusades. This left Greece as Europe’s primary supplier. The sale of saffron quickly made merchants extremely wealthy and powerful, which disturbed the declining aristocracy. In an attempt to regain control, a group of nobles seized a large saffron shipment heading to Basel in Switzerland. The stolen cargo would be worth over £300,000 in today’s market. The theft triggered a 14 week long war, named the ‘Saffron War’ that lasted until the shipment was returned. Though the cargo was returned in this instance, the saffron trade was plagued with thieves for the majority of the 13th century. Pirates would target saffron bound for Europe, often ignoring ships loaded with gold in preference for this profitable spice. Trade of Crocus sativus began to dwindle for a second time during the 18th century. There have been a number of causes suggested for this decline, including fungal diseases destroying crops, cold winters and to traders offering steadily lower prices in an attempt to outcompete their rivals. By the middle of the 20th century, the crocus started to become primarily grown for ornamental purposes. The use of saffron as a spice fell out of fashion and the only areas in which it endured were southern France, Italy and Spain. 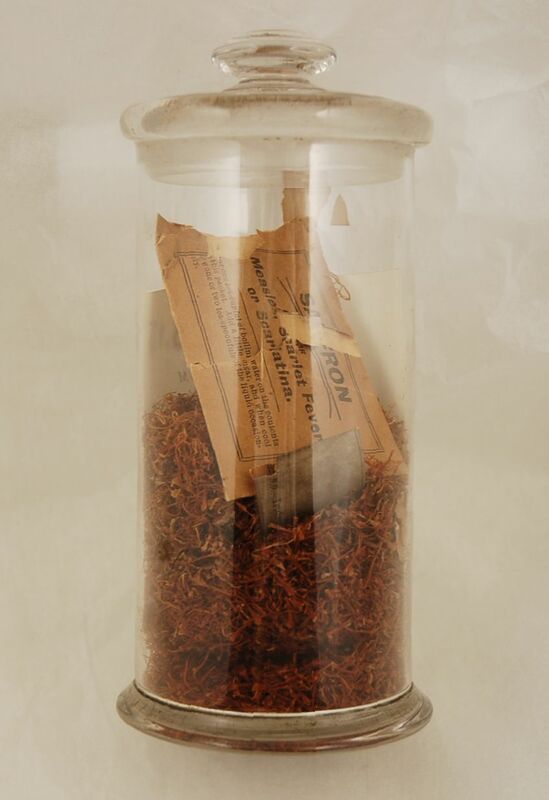 Materia Medica jar containing saffron. Since the turn of the millennia in 2000, saffron has been making a comeback. Today, rather than being predominantly grown in Greece and Europe, the majority of C. sativus is now grown in Iran and North America. This entry was posted in Materia Medica, Specimen of the Day, Students and tagged ancient Greece, black death, botany, collections, Crocus sativus, materia medica, Minoan, saffron, Saffron War, spice.